It’s late afternoon on Saturday, and other than making brunch, I have done absolutely nothing productive. We did watch one Christmas movie, which apparently came out in 2013 but I hadn’t ever heard about before. It was cute! Poorly acted, but cute. Most of them don’t have the best actors, but I’ll take sweet and happy over great acting with a terrible message every day. Hubby is directly behind me at a table, wrapping the gifts he got for me, with the strict instructions not to turn around and peek. I hate the thought of ruining all surprises at Christmas, so I wouldn’t peek anyway, even without the warning. I do fully intend to get myself off the chair and into the kitchen to at least do a couple of treats, and make dinner, but it’s nice to sit here with Hubby on Saturdays and just enjoy our time together. When he is finished with the wrapping, I’ll get busy. Between today and tomorrow I have a LOT to do. So much for being done early this year, right? I have to keep telling myself that I AM ahead of my usual timeline, so there’s that. Jesus is identified by many names stated or implied in the four Gospels (Matthew, Mark, Luke, John). Notice how Jesus is identified in just this one passage: child, son, Jesus, great, Son of the Most High, King, son of David, and leader of Israel (Jacob). Jesus exhausts all descriptions, and yet chose to be limited to imperfect descriptions by becoming human. 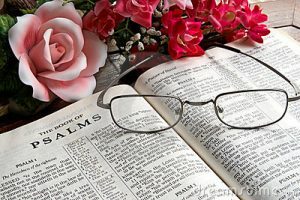 But this flood of names and descriptions helps us find Jesus as our Savior in every trial and blessing of life. Jesus is Savior for all seasons. While Mary’s submission to God’s will costs her in ways we can never imagine, for Jesus to come to life in the hearts of people today our attitude must be the same as her attitude was on this night of miracle and mystery. We too, must be willing to be the Lord’s servant and offer him the praise of our lives and of our lips. In Jesus, the Lord has done great things for us! Mistletoe . . . we see it in all of the Christmas movies, hanging over doorways with a couple caught under it at the same time awkwardly kiss at the realization that it is there. Because we have been raised with the tradition of kissing under the mistletoe, many of us don’t question where the tradition started, or why. I was curious though, and I’m sure at least a few of you are too. Here’s what I found out! It’s really interesting! 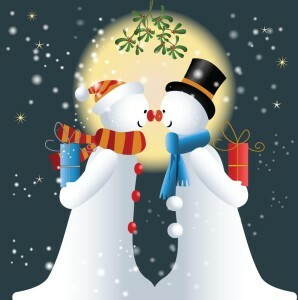 Mistletoe was considered to be sacred by the Norse, the Celtic Druids and the North American Indians. The Druid priests would cut mistletoe from an oak tree with a sickle made of gold, with the branches needing to be caught before they could touch the ground. The branches would be divided into many sprigs and handed out to the people, who would hang them over their doorways as a protection against evils, including thunder and lightning. It was thought that if you placed a sprig in a baby’s cradle that it would protect the baby from goblins, and that giving a sprig to the first cow to have a calf after New Year would protect the whole herd! It is also a symbol for peace and joy! In the ancient times of the Druids, whenever enemies met under the mistletoe in the forest, they had to put down their weapons and keep truce until the next day. This is where the custom of hanging a ball of mistletoe from the ceiling and kissing under it started, as a show of friendship and goodwill. 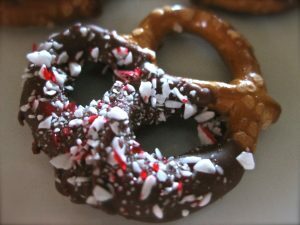 So, while all of this “scandal” rolls through the country with everyone bringing up “harassment” from many years gone by, even dragging being kissed under the mistletoe into it as a potential harassment hazard, keep in mind that this is a tradition that goes back for centuries and that the original intent was peace and good-will, even between enemies. So, what exactly IS mistletoe? Well, mistletoe is a parasitical plant that doesn’t have roots of its own and lives off of the tree that it is attached to. If it didn’t have that tree, it would die. It was thought to be sacred by ancient Europeans. It was used by the Druids in their sacrifices to the gods, and the Celtic people thought it had miraculous healing powers. The name for mistletoe in the Celtic language even means “all-heal”. They thought it rendered poisons harmless, made humans and animals prolific, kept them safe from witchcraft and even protected their homes from ghosts! With ALL of those amazing abilities they also thought the plant brought good luck to anyone who had some. There is a beautiful story that the Norsemen had about mistletoe. The story goes that mistletoe was the sacred plant of Frigga, the goddess of love and the mother of Balder, who was the god of the summer sun. Balder had a dream about death, which frightened his mother, because if he died then all life on earth would end. To keep this from happening she went right away to air, fire, water, earth to every animal and plant, to get them to promise that no harm would come to her son. Now Balder couldn’t be hurt by anything on earth, or under the earth. Balder did have one enemy though. Loki, the god of evil, knew of one plant that Frigga hadn’t thought of in her quest to keep her son safe from harm. It did not grow on the earth, or under it, but on apple and oak trees. It was the mistletoe. Loki made an arrow tip of the mistletoe and gave it to the blind god of winter, Hoder. Hoder shot it, striking Balder dead. The sky went pale, and all things in heaven and earth cried for the sun god. For three days each element tried to bring him back to life. Finally, Frigga restored him. The tears she cried for her son turned into the pearly white berries that are on the mistletoe plant and being full of joy, she kissed everyone who passed under the tree on which it was growing. The story ends with a decree that anyone who stands under the mistletoe would come to no harm. They would just get a token of love, a kiss. It was a natural transition to translate the spirit of this myth into a Christian way of thinking and to accept the mistletoe as a symbol of that great Love that conquers Death. Mistletoe’s medicinal properties, whether they are real or imaginary, make it perfectly emblematic of the Tree of Life, the leaves representing the healing of the nations, which parallels it to the Virgin Birth of Christ. Later, during the eighteenth-century, the English gave mistletoe credit for magical romance, instead of healing powers. A kissing ball was made with the mistletoe and at Christmas time a young lady who found herself standing under a ball of it; brightly decorated with evergreens, ribbons and ornaments, could not refuse to be kissed. If nobody kissed her then she could not expect to marry during the following year. Whether or not we believe in the magic, it does make it fun to hang it up at Christmas time. 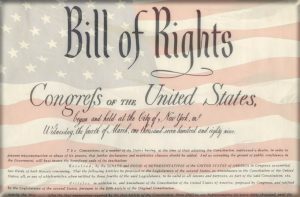 Bill of Rights Day – As American’s, we should all take this celebration very seriously, and hold it close to our hearts. 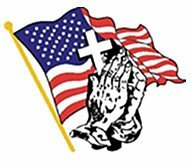 As a nation of free citizens, we should take each and every one of these seriously, and fight to our very last breath to hold onto them! Each and every day our ability to do so is being eroded from the inside out, and we must put a stop to it! These are OUR rights! WE THE PEOPLE! On March 4, 1789, the Constitution of the United States of America was ratified by the (former)13 colonies and went into effect. States and individuals were concerned that the Constitution did not properly cover and protect a number of rights of individuals. The Constitution was signed by the original 13 states with the requirement, or understanding, that a Bill of Rights would be created, amending the new U.S. Constitution. On September 25, 1789, the First Congress of the United States proposed to the state legislatures 12 amendments to the Constitution. 10 of these amendments were added to the Constitution on December 15, 1791. Our forefathers had the wisdom to put all of these together, let’s honor them by fighting to keep these rights that men have fought and died so that we may life free. Amendment 3 – Protection of homeowners from quartering troops, except during war. Of the 12 original amendments, which ones were not approved? The original Amendments # 1 and #2 did not pass These dealt with the number of representatives to congress, and compensation to representatives. Had they passed, there would be over 6,000 congressmen today!!! 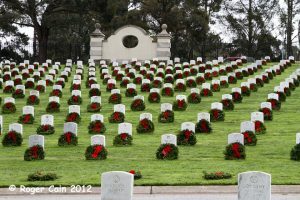 Today spend a few minutes reflecting upon the freedoms that you enjoy. These freedoms do not exist in many countries of the world, and we should always remember that we are completely blessed to have it here. 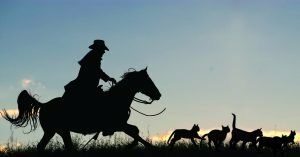 Cat Herders Day – Do you ever feel like you have an impossible task and no matter what you do the individual pieces of it get away from you? It’s like you are trying to manage the unmanageable. Sometimes it is work, sometimes home, or even school. It may be a combination of all of these things, and it ends up being a little like trying to herd cats. Have you ever TRIED to gather a group of cats into one place? It’s pretty much impossible. With Christmas approaching at break-neck speed, and all of us with so much on our lists to do, I’m sure we feel a little like we are cat herders. Take a breath. If it all gets done, great, if not – will the world end? It’s not likely. Just relax and take care of one thing on the list at a time. They’ll get done – or they won’t. Embrace each one as it comes along and deal with them head on. National Wear Your Pearls Day – This one is so beautiful! I missed it for its 1st and 2nd years but will be sure to remember it from now on. The pearl is an amazing miracle of nature. One irritating grain of sand can cause a pearl to form. This celebration was intended to remind people that when life throws dirt on us, that it doesn’t matter, because we all have value in the end. Pearls come in various colors, shapes and sizes, and so do people. We all have different troubles and trials thrown into our lives. 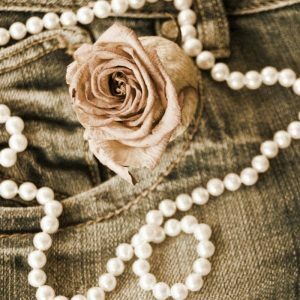 The tragedies in our lives shape who we are, and our own beauty and value is created by our experiences, so rather than devaluing ourselves and losing motivation, we need to be like pearls, developing into something stronger and beautiful, layering the experiences of our lives into something valuable and strong. 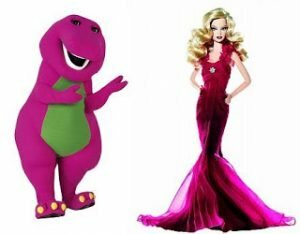 Barbie and Barney Backlash Day – This is one unusual celebration and honestly one I wouldn’t even think about celebrating. I was raised with Barbies, and though I’m not exactly a fan of Barney, I can recognize that he used to be beloved by small children everywhere – in spite of how annoying he is. The originators of this day say that this is the day when Mom and Dad can tell the kids that Barbie and Barney don’t exist – may as well kick puppies while you’re at it, what a bah humbug thing to do! Kids today don’t use their imaginations often enough, so let’s leave these beloved toys alone and find something else to pick on, okay? Dec. 15, 1781 – The Bill of Rights are enacted, amending the U.S. Constitution. Dec. 15, 1890 – Sioux Chief Sitting Bull was killed. Dec. 15, 1939 – Gone With the Wind premiered in where else but Atlanta, Georgia. Dec. 15, 1944 – Famous band leader Glenn Miller died in a plane crash over the English Channel. Dec. 16, 1773 – Boston residents protesting British taxation threw tea overboard on a British ship. The Boston Tea Party was the beginning of the American fight for independence. Dec. 16, 1944 – The famous World War II “Battle of the Bulge” began. National Cupcake Day / National Lemon Cupcake Day – Today I found two different food celebration listings for cupcakes – one for just cupcakes in general, and one for lemon cupcakes. Either way – today we embrace them for the wonderful little treats that they are! Cupcakes are cute, and very portable, but there’s one big reason they caught on in the early 1800s: Their tiny size allows them to cook more quickly and evenly than one large cake. 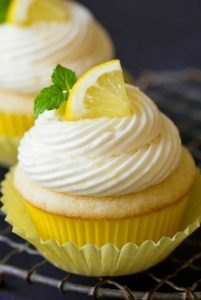 Now, I found this recipe for lemon cupcakes on All Recipes, but a little addendum – I fill mine with lemon curd as well for EXTRA lemony flavor. 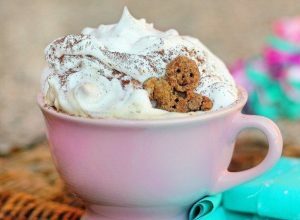 National Gingerbread Latte – I’ve never had a gingerbread latte, but I found this recipe and thought I’d give it a try this morning. Seriously, I wanted this – but as soon as I got into the kitchen I went on auto-pilot and I ended up with my usual peppermint mocha. Doggone it! Tomorrow. I’ll try to remember to do this tomorrow! Here’s the recipe so you can try it yourself! National Chocolate-Covered Anything Day – This one lands right in the middle of the holiday season – which I doubt very much was an accident. You can add chocolate to just about anything and it will make it delicious. Heck, people even eat chocolate covered bugs! I don’t, but someone does! Today, we get to enjoy our beloved chocolate by covering something…just about anything… in a generous amount of chocolate. Pour, spread, or drizzle chocolate over cakes, cupcakes, pies, pancakes or waffles, nuts, raisins, even ants (yes, some people actually eat chocolate covered ants!). You can decide what is too extreme, and how much is too much, if any. I have managed to mess around watching movies and looking up things on Amazon pretty much all day long. Now it’s time to figure out what to have for dinner. I’m guessing that all of my baking will have to be done tomorrow and I’ll have to just be on top of things for the upcoming week, so I can get it all done before the weekend. Know why? Because next Saturday Miss B and Big Brother E will be here! WOOHOO! We’re going to have lots of Christmas fun! 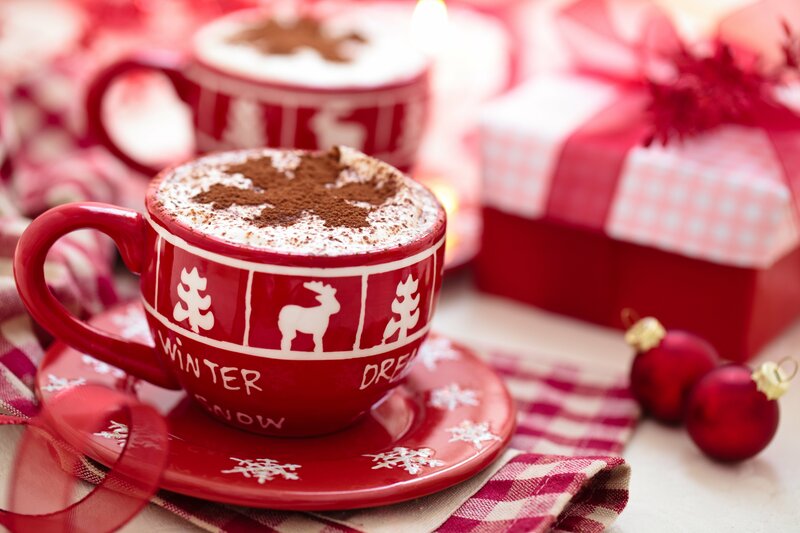 For now, I need to go – our tummies are gurgling. God bless you and I’ll see you on Monday.